Right I'm off to my favourite spot down at mudeford quay, hopefully I'll return with some nice pictures, wrist me luck! Hearing a little thunder now too. New cell west of Weymouth. That whole trough is erupting - looks like were going to get slammed! Somebody order me some BBQ chicken?! OMG,we are the new EU LOL. Cracked me up when she said had that person from another country seen anything like that before. Of course he was going to say yes! Quite common over places like the Alps and most of Southern/Eastern Europe and elsewhere across the globe! The one further east in the channel's really going for it now. Amazingly i can hear the beast of that storm now in the SW. 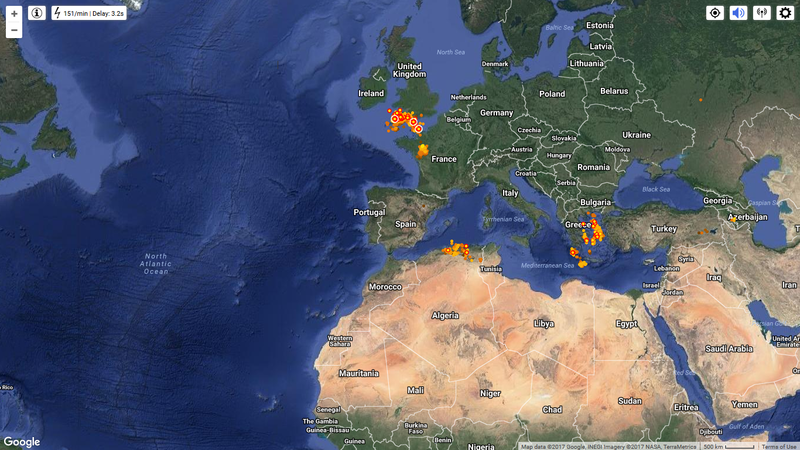 The lightning is incredible to my south. Ive never seen lightning so frequent from so far away in this area before. Well, I really must turn in now, despite the nature of that storm. Enjoy it while it lasts, everyone. Same time, same channel tomorrow? 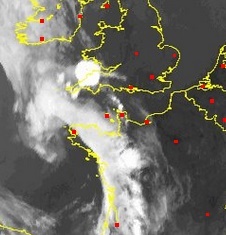 Wow that storm to my south in the channel is exploding! Might just dash outside and shelter a few of my small/tender plants just in case and see if can see some of the flashes. Am i right in saying its starting to all join to form a line now?